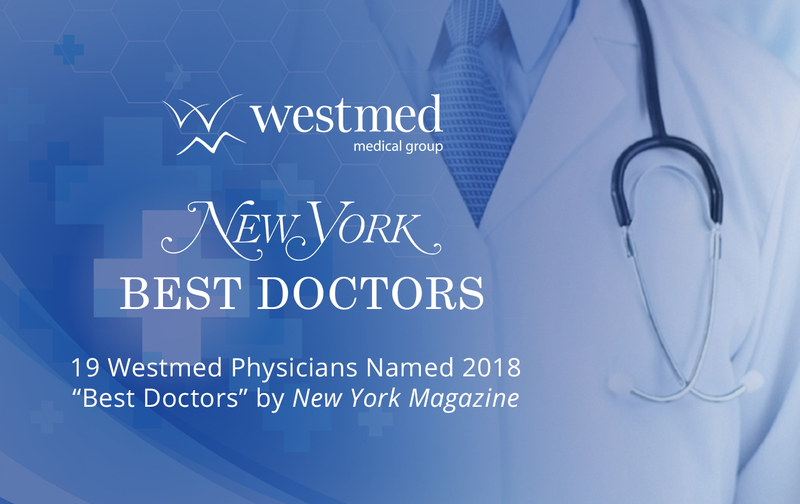 We’re pleased to announce that 19 Westmed Medical Group physicians have been named the best in their specialty in the “Best Doctors” issue of New York Magazine. The issue identifies top doctors in New York City, Westchester County, Long Island, and portions of New Jersey and Connecticut nominated by their peers—other doctors—who vote online. The selection of the best doctors is based on the annual guidebook “Top Doctors: New York Metro Area” published by the research and information company Castle Connolly Medical Ltd. It lists what it has determined to be the top 10 percent of the region’s physicians. Mammo and Ultrasound Services in New Rochelle – Now Open!